I love it and it's so adorable to see the kids believe! I give it two thumbs up! I’d give more stars if I could... Every kid’s dream comes true with this! It’s great for the parents, great for the kids- really enhances the holiday experience!! The app isn't bad. It held my child's attention for about 10minutes before they caught on its fake because you have to tap the screen to encourage santas next reply. They were happy to see santa...but disappointed they could tell it was fake so fast. Bit of a waste of $2.99, there are better free versions available. I love the tap prompts to move to the next part of the conversation and also like the three options. 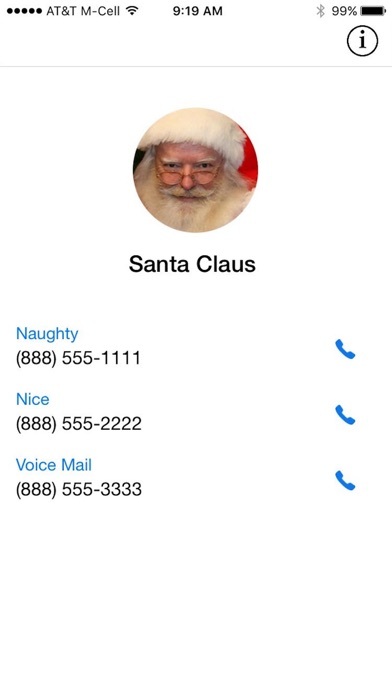 How great is it to be able to leave Santa a 'voice mail'?! And best of all I can record and save the memories of the kids talking to Santa. So sweet!! Fun cute app for the holidays! Fun for the kids and I have to admit, I have fun using it too! ;) feels like you're actually face timing with santa, and gives you a chance to talk back to him. A good way to teach the kids a quick 'being nice' lesson if they've been naughty too! Santa will encourage them to get off the naughty list by being nice to others as often as possible. Highly recommended, too cute! This is my grandsons's most favorite Christmas app! He can't wait to speak with Santa when he's been good. And boy he sure does NOT want us to call Santa when he's been bad! 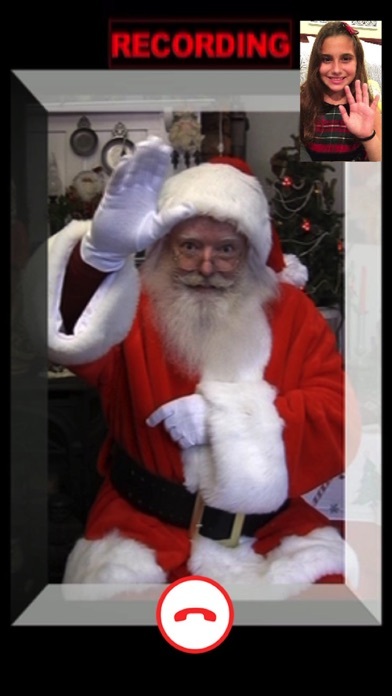 We've got some hilarious videos of him talking to Santa, thanks to this app! Keep up the great work! Highly recommend. My son loves this app. I tell him if he's not listening that I'm going to call Santa and tell him he isn't listening and being bad, so then he starts doing the things I ask. He is also able to tell Santa what he wants for Christmas as well. It really makes my son happy to see Santa as he talks to him. This is a fantastic idea for young children. Adorable app. Really fun for kids. Software is great. Video poor. Records, which is awesome. Video needs work. Large gaps in between "scenes" and santa actor is mediocre and too young. It'll fool small children probably but otherwise don't bother. Love this app. Definitely the best of its kind! Highly recommend downloading it for family fun during Christmas time!!! I am so excited to use this app as we are getting closer to Christmas. 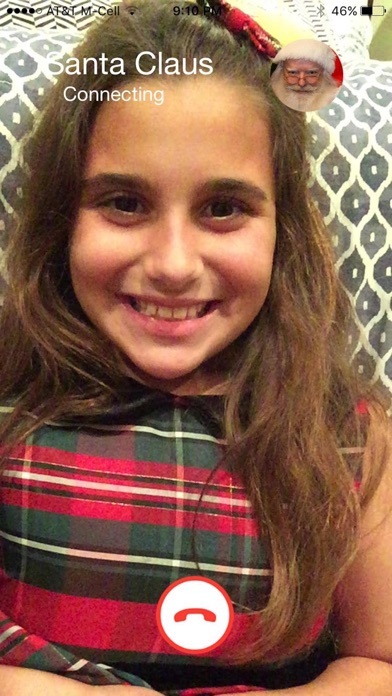 My daughter loves this app and is so excited to talk to Santa! This app can keep her entertained for a while! I would recommend this app! This is by far my favorite Christmas app that I have ever created! My kids love it and the adults in my life love it too. My fav part is the videos you get to keep as the perfect holiday memories!! I hope everyone enjoys this app as much as I do!! Really a great app to have. Spectacular way to engage the little ones and bring the holidays to life! This is a great app! The kids love it! We love it too because it's a great way to keep the kids well behaved. Great app!!! My 6 year old was convinced she was talking to Santa. The mention of calling Santa gets my kids to immediately behave. Great app for Christmas! Only purchase if you have $3.17 to waste. Every time I click on one of the fake numbers to call Santa, it crashes. I am extremely disappointed! Keeps crashing! Every time I click on Santa the screen blacks out. Tried numerous time. Restarted phone. Killed app. Still doesn't work. We have had this app for a few years. I re-download just prior to the Christmas season and my kids are immediately on best behavior. I LOVE this app!! My niece & nephew were beyond themselves thinking they were talking to Santa. An added plus is I found out their Christmas Wish List without even having to ask!! They walked around the house telling everyone how they got to talk to Santa. They had the biggest smile on their face. Not a FaceTime style app. Refund please. Just a pic of Santa and messages. Other apps have an animated Santa. Great app! Very cool and works really well! Everybody should get it for the holiday season! MY KIDS LOVE THIS APP!! Perfect app for Santa believers !! 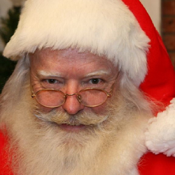 Kids and parents will both have fun with this app - This Santa is the real deal ! This app does not work. The phone calls kept dropping before Santa could even say anything. My son was crying and extremely upset because he thought Santa didn't want to talk to him. I just want my money back since the app did not work. I really gotta hand it to the creators of this fun little app! It's kept my twin boys (4yrs) entertained long enough for me and the wife to wrap their gifts (I know it's early, so sue me) without them noticing. Spoiler alert: we're actually Jewish - and it doesn't matter to them or us! So much fun! It’s actually a life saver for us! Even this early in the year... plus the kids get to FaceTime Santa Claus! Where was this in the 70s? One of the main hopes we have during the holidays is for peace on earth. This app is all about peace at home!! No more screaming, no more tantrums, no more crying. Anytime our children are about to misbehave in any way, we whip out “Santa” and all of a sudden we see nothing but smiles. It should be Christmas all year long!! Love it! Upon seeing this app, I made the mistake of judging it based on other cheap apps from years' past. However, I was quite taken aback when my children and I began using it. The different 'lines' as well as the entire of character of Santa is quite spot on. He was very realistic and connected very well with my kids. At times, I even began to question whether or not we were actually live speaking with the man himself. I highly recommend this app as it caused my children instant glee (luckily, we didn't need to use the 'naughty' option; we did use it in my husband, though. Quite a good laugh for everyone!). I do hope this app gets the recognition it deserves this holiday season and for holiday seasons to come. Happy Holidays!!!! This app is great to get kids into the Christmas spirit! It’s also helpful when encouraging them to not be “naughty” as I can just call Santa right up! It’s easy to use and a great way to keep the holidays happy for everyone. I have the cutest video of my grandson talking to Santa about being a good boy! Thanks to this app! So far this is the best "talk to Santa" app that I've found. I'd recommend. Thanks to this app, all the kids in my life will believe for another year! This app is very realistic and the best! I love this app! I use it all the time and love talking to santa so much!!! So he always knows that I've been good and knows what I want for Christmas! Thank you Santa! My kids smile so huge when I use this app to let them talk to Santa!! Been using it for years! They really believe I can get Santa onto FaceTime any time I want! It's fantastic!!! I absolutely love this app. My son is in pure delight when santa calls!! Absolutely love how u can save the videos and share them!! App. I'm gonna keep forever!! We love to play this every holiday season! My son loved talking to Santa! He is used to face timing with his grandparents in Florida so it was really cool for him to be able to do the same with Santa! Great to share with any kids who want to hear from Santa. This app was a big hit a recent family holiday party. Great app for kids during the holiday season. Gets the kids in the holiday spirit. I love it!! This is the best Santa app I’ve ever had on my phone! 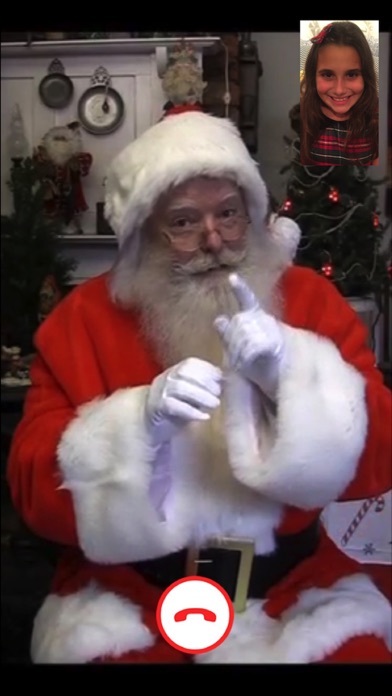 My daughter loves talking to santa and I love the videos I have of it. Thanks!! !